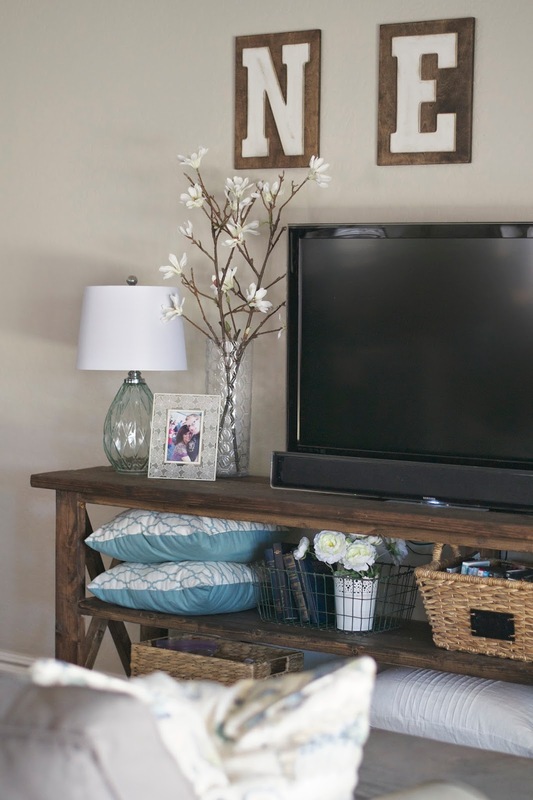 DIY farmhouse console &a peek into our family room. | Paddington Way. 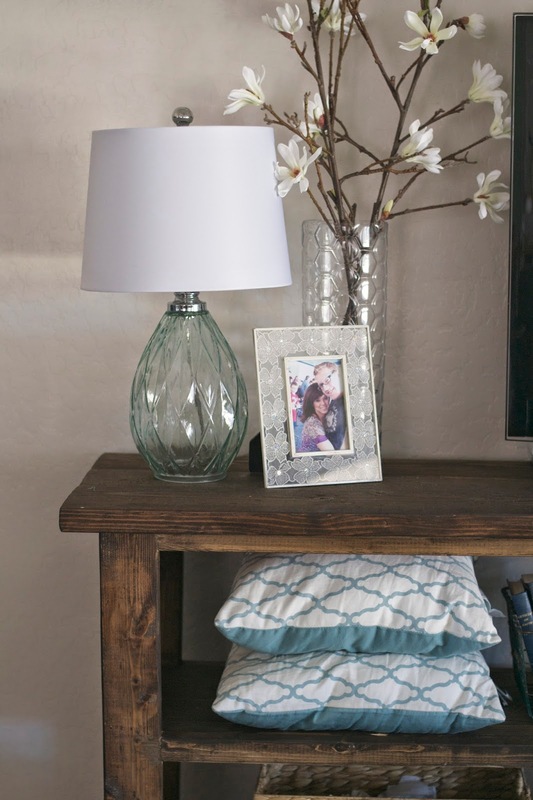 DIY farmhouse console &a peek into our family room. Lately I've been making some huge dents into our never ending list of projects for our house. Such a huge dent that I haven't even taken time to blog about the finished projects. I don't really know where to start because SO much has changed. 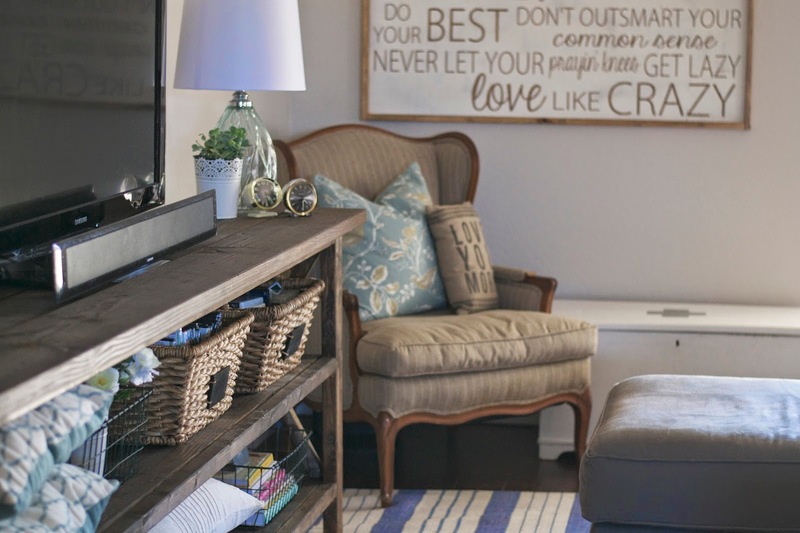 Today I thought I would share the console that my husband recently built for me, and show you a little peek into what our family room is looking like today. 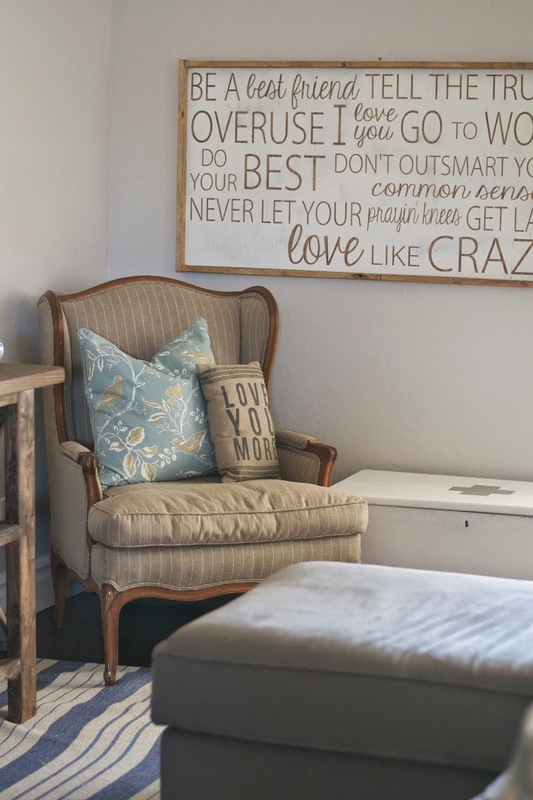 The biggest change we've made is paint our walls Edgecomb Grey by Benjamin Moore. It is the softest shade of grey and works really well with warm woods as well as cool colors. I can't even tell you how much painting all the common areas has changed the entire feel of our home. Our family room is rather shallow and shares a great space with the kitchen and eat in breakfast nook. This is the spot where we spend all our time as a family. I had a dresser as a media console for a long time, but wanted something that would fit the space better. 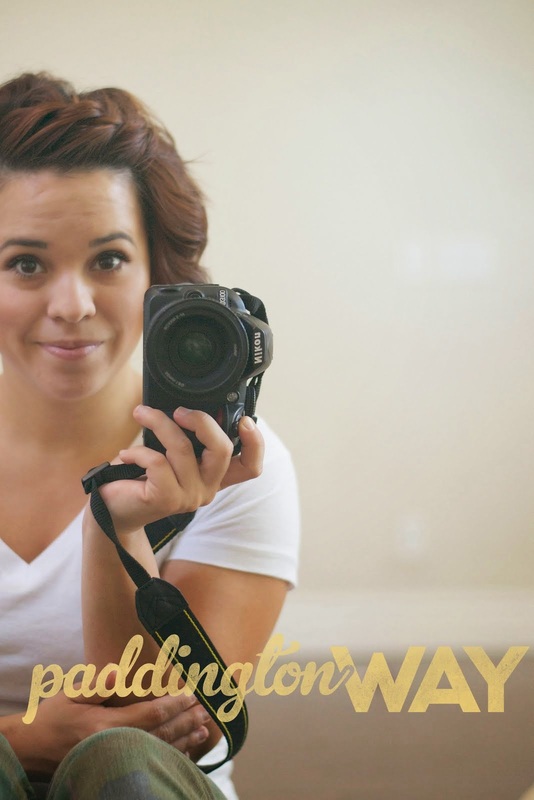 We decided to DIY this project after gaining inspiration from the wonderful Liz Marie. Her husband so kindly provided the building plans on his blog here. We altered the length and height of the console to fit our space a little better. But that's the beauty of DIY, you can make anything you want however you want, right? We chose dark walnut by Minwax to finish the console in. My husband is still in shock that I didn't paint it white. Smh. We are so thrilled with how it turned out! 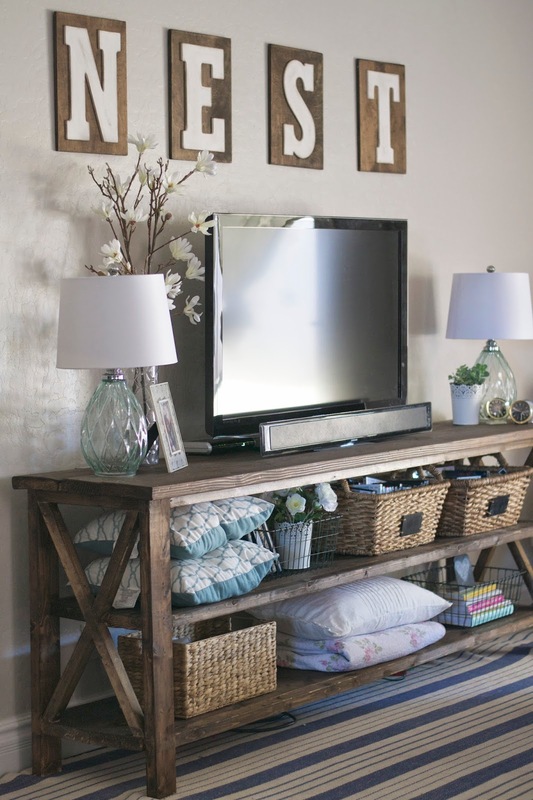 Your TV Console turned out fabulous! I love how well it fits in with your room. I also really love the Nest sign and the lyrics sign. Can not wait to see the entire room reveal. I love this room! Very functional and looks great! I love the console, as well as the Love like crazy lyric picture! Can you do a tutorial or explanation of how you made your lyric wall art? This turned out so awesome. Love everything about this room too. Gorgeous room! Love all the little details and the wall art is awesome! I am featuring you at our Motivational Monday party tomorrow. Thanks for linking up! 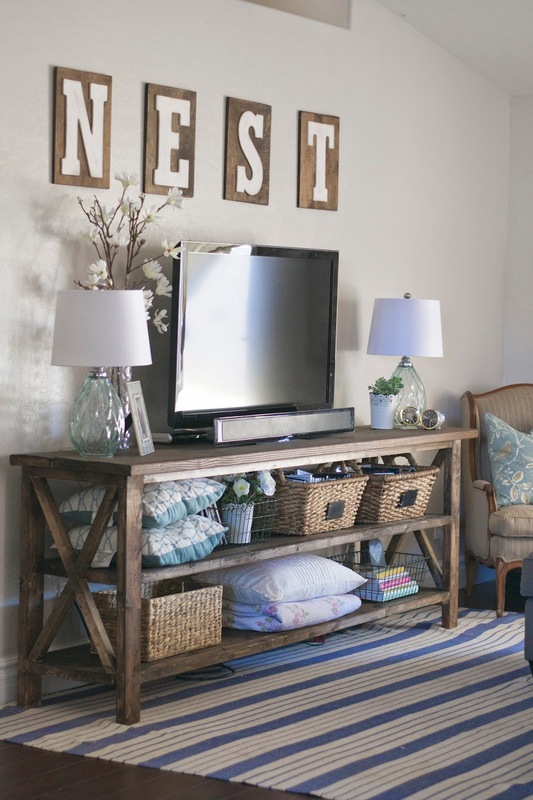 Where can I find the nest letters?